Sunday October 8th 2017 I completed the Chicago Marathon for a second time and my marathon no. 325 in total. 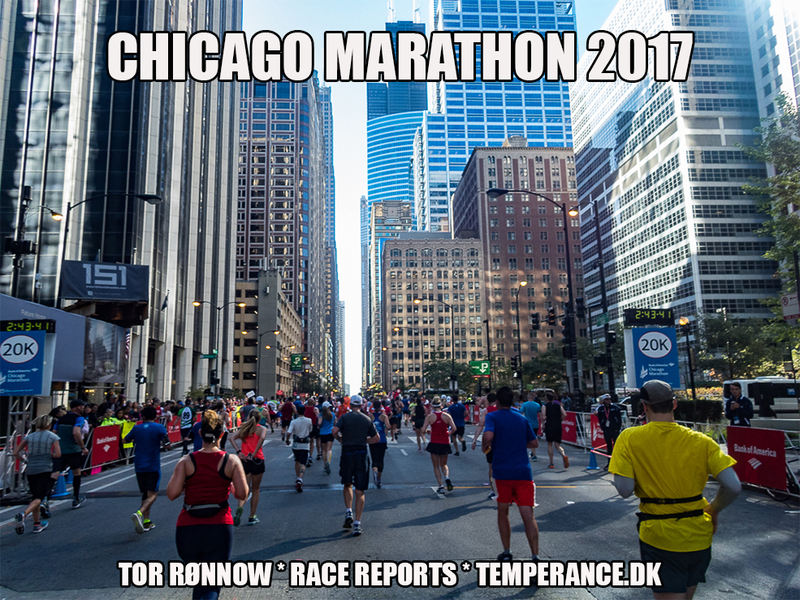 Find below my full race coverage plus some tourist impressions from the marvel of the U.S. State of Illinois, the magnificent and majestic Chicago. Chicago City is just an amazing, friendly and beautiful metropole to visit and with a whole lot to look in to as a tourist. Thus, we found time during our short trip to visit the Shedd Aquarium, the Willis Tower and the Museum of Modern Art and a few other quite spectacular things as you may see in the race report below; a few highlights can be glimpsed in these pictures, though. The Chicago Marathon 2017 was an entirely awesome experience on a lovely Sunday with sunshine and quite high temperatures, heaps of spectators in the streets and an electrical atmosphere throughout the field, crowd and day. The event had approx. 43.000 runners out there and I personally consider it to me amongst my top 3 running experiences ever. You will understand when browsing the race report!